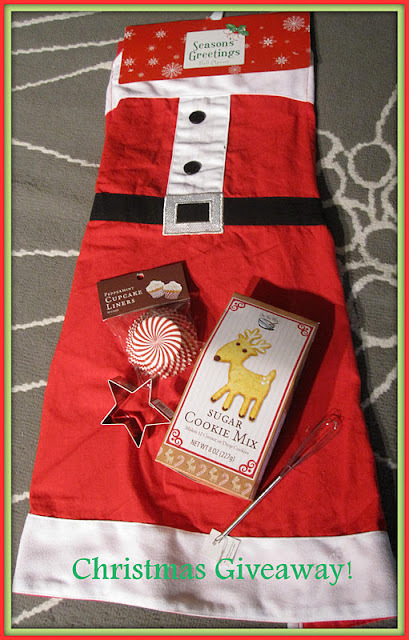 The Apron Gal: Christmas Giveaway! Sorry this isn't the greatest picture ever, aprons are so hard to photograph! This giveaway opens today, December 5th, and ends next Monday, December 12th at midnight, Central time. I will announce the winner on Tuesday December 13 and mail the items that day too, so you should receive them by Dec 17. Giveaway is open to residents in the contiguous US states only. Sorry! 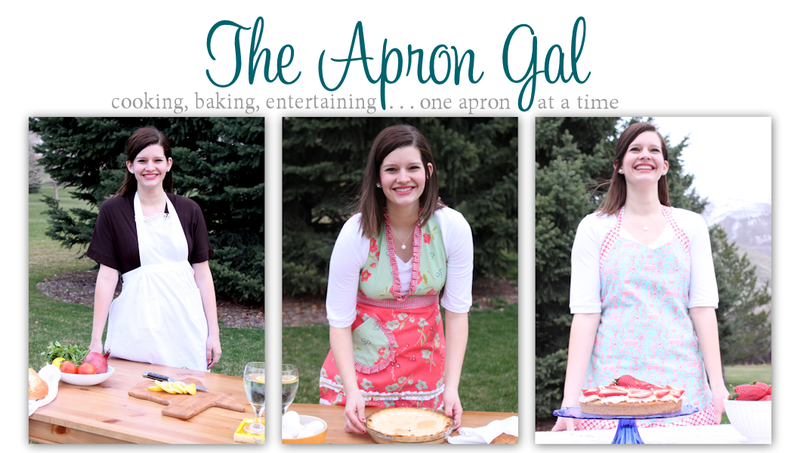 Like The Apron Gal on Facebook & tell me your favorite holiday dessert! Blog, tweet, facebook, or anything else about this giveawy. 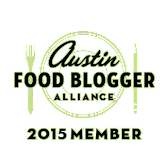 One additional entry per shout out. I love y'all! Thanks for supporting me!